The flat crack of heavy cannon rounds passing nearby announced the arrival of the panzers on the next ridge. ‘Gunner, traverse left…steady…on! 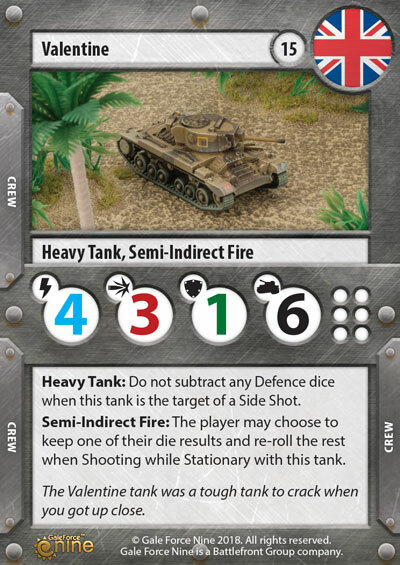 1000, Tank…FIRE!’. The two-pounder slammed back, venting cordite into the cramped turret. The tracer arced into the panzer, then bounced, soaring into the evening sky, the range too long for their shot to have any effect against the bigger German tanks. Following hot on the heels of the Italians in April, the British receive reinforcements of the heaviest type with the Valentine and Churchill tanks. The Valentine tank comes with three different options giving players a solid mix to choose from. Of course they all feature the Heavy Tank rule that lets you sit in the middle of the enemy and slug it out with a measure of protection. 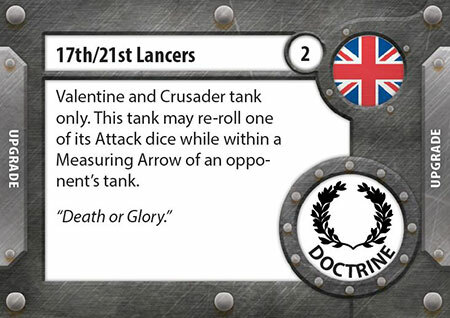 Along with the tank cards you will also get a unique platoon upgrade that will benefit both the Valentine tank and the Crusader tank. 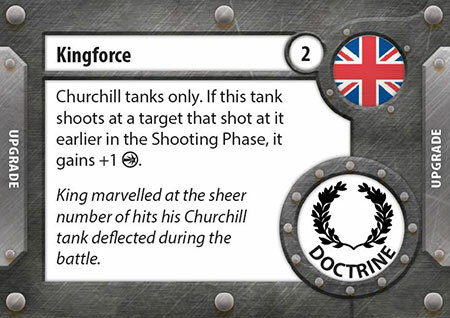 The Churchill tanks take Heavy Tank to the next level with even more Damage Points (and two Defence Dice), as well as an option for a heavily armoured Close Support Artillery tank so you can rain down fire on your enemies whilst still being able to mix it up at close range if necessary. 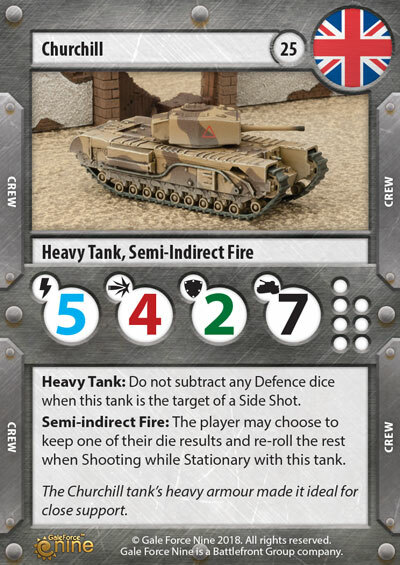 These new British tanks and the final month of this seasons Organised Play Kit will be available in stores from June 2018.